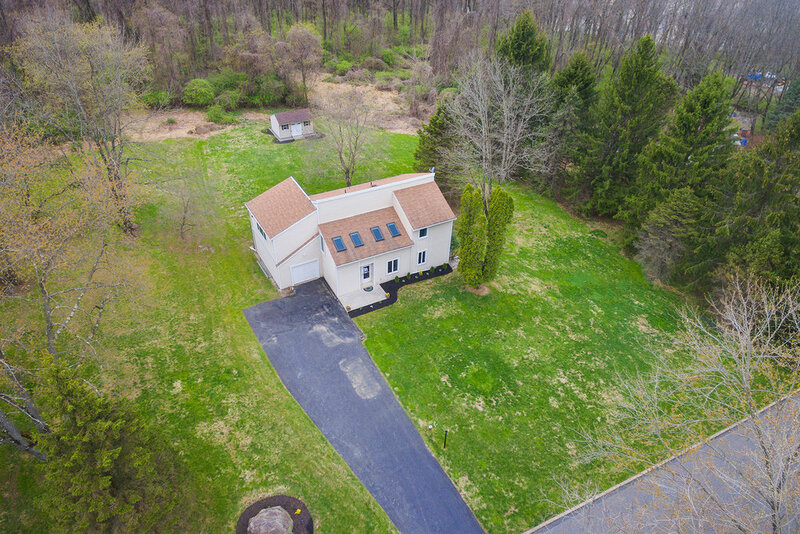 This stunning property has it all, just over an acre of land, a magnificent trex deck to take in all the natural beauty, 4 beds and 2.5 baths. Welcome to this meticulously maintained Contemporary home offering space for entertaining, privacy or family fun. Dramatic cathedral ceilings welcome you as you enter and open all the way up to the upstairs hallway, featuring multiple skylights that drench the space with natural sunlight. A large living room and dining room wrap around the eat in kitchen allowing for access to all rooms with ease. 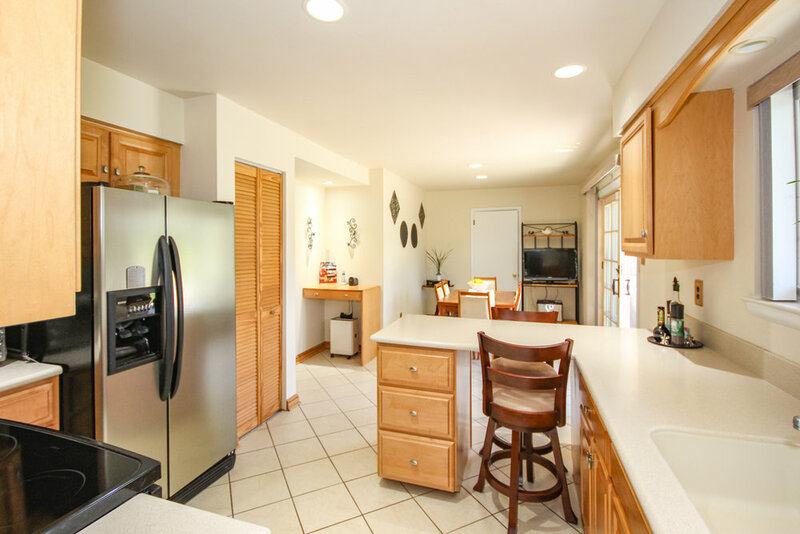 The bright and spacious kitchen is highlighted with a breakfast bar, double oven, pantry and desk nook. You can access both the one car garage and backyard from the kitchen as well. Step out through the sliding doors onto the huge trex deck with custom awning and lots of room for lounging on one side and eating on a warm summer evening on the other. The view of your private oasis is nothing short of spectacular from this spot with mature trees and plants. Awning is removable and can be stored away off season. Back inside a coat closet, half bath and basement access complete this floor. Upstairs features beautiful original hardwood floors throughout. The roomy master bedroom has a walk in closet and en suite. 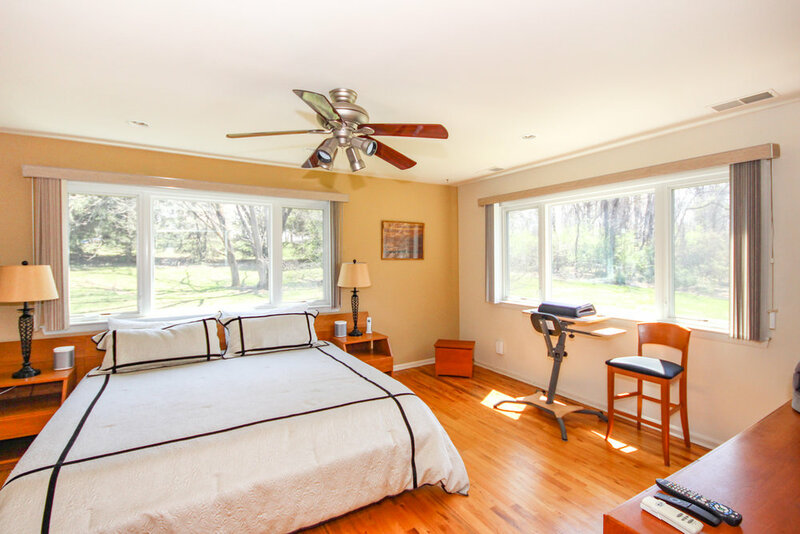 Other highlights creating a cozy retreat include a warm neutral paint, modern lighted ceiling fan and recessed lights. Three more bedrooms, all with gleaming hardwood floors, great natural light, lighted ceiling fans and recessed lights can be found on this level. A full hall bath and the laundry area can also be found upstairs. 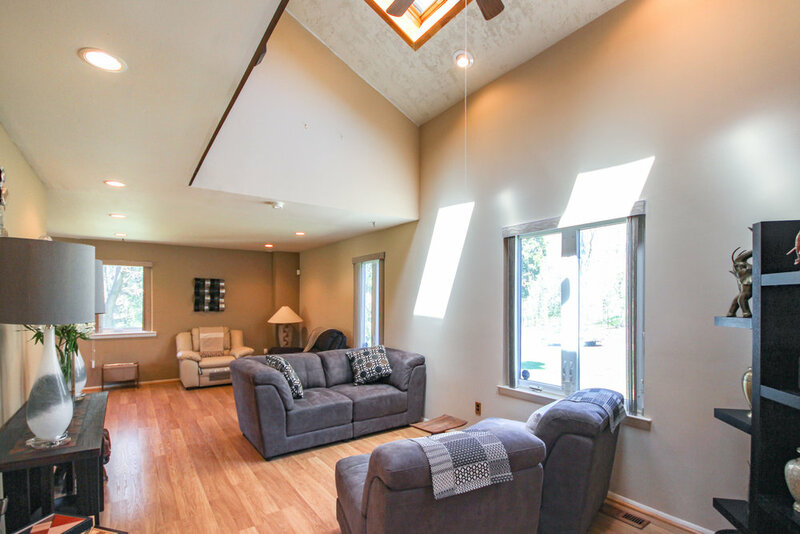 The fully finished daylight basement offers plenty of additional living space with wall to wall carpet, storage and an egress. This home has wonderful upgrades as well, such as 2 heat pumps for zone heating, 200 amp electrical panel, 80 gallon water tank, a leaf guard system on all the gutters, a whole house generator and filtration system. Located in the highly sought after Glenwood Farm neighborhood and Rose Tree Media School District. 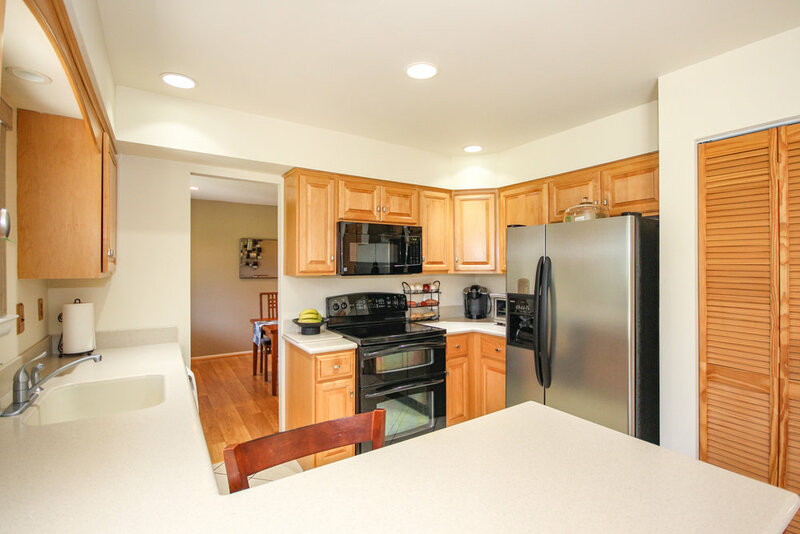 Close to Shoppes at Concordville Town Center and restaurants of Glen Mills, West Chester and downtown Media, with easy access to Rt 1 and I-476.